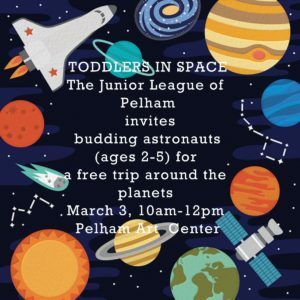 Junior League of Pelham is proud to announce that their Toddlers in Science program team will host “Countdown to the Planets” on Sunday, March 3rd at the Pelham Art Center from 10-12pm. The program is geared to children 2-5 years old, and we will take them on a hands-on trip around the planets, demonstrating each planet’s unique characteristics. Participants will first hear a short story about the planets in space, and then get a hands-on sensory ‘experience’ of each one with items such as ice, fans, plasma balls and other engaging materials. Since women are markedly underrepresented in STEM fields, “Toddlers in Science” was formed to try and combat this bias by normalizing the idea of doing science and exposing young children to women doing science early and often. 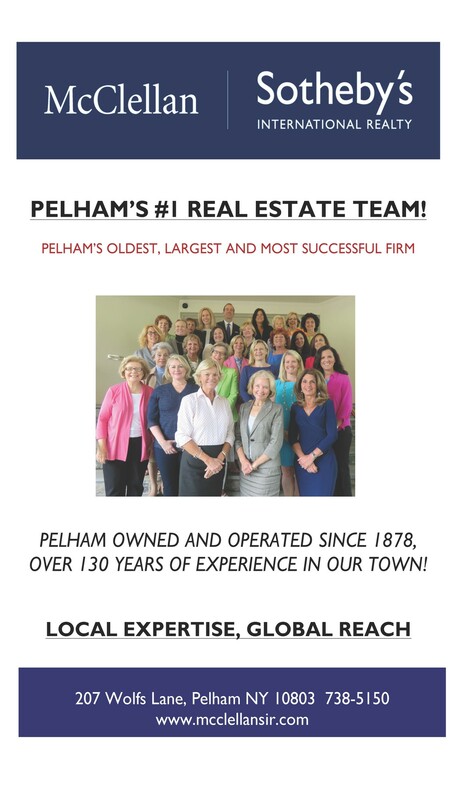 Our goal is to go into local preschools, day cares and hold community events to give fun, hands on science lessons to the children. Since the Junior League is an association of women, all of the young children would see strong positive role models and leaders in the community as interested and engaged in science. This program will also provide more opportunities for students to be exposed to science which they may not otherwise see. This is a FREE event but we ask that you register your child for one of the two sessions: https://bit.ly/2RBwUWI. This is NOT a drop off event.